"I could actually swim before I could walk; I was always a worry for my mum because I would jump in the water and do a frog style. I love the water, I'm a water baby." Vulnerable young parents supported with social work, case management as well as parenting and education programmes. Tamariki and their whanau provided quality ECE services at Little Owls Preschool. Young people received counselling services for mental health, eating disorders and alcohol related issues. Young people who have offended supported with intensive Adventure Therapy and prosocial support via our Reintegration and Prosocial Programmes Team. Youth at risk from seven schools supported in collaborative practice with Adventure Therapy and Health and Wellbeing teams. Young women at risk supported via our Mana Wahine Adventure Therapy group. Caregivers supporting people living with disability. Admissions to our residential care services. Hours of specialist rehabilitation and therapy at the Granada Centre. New community partnerships including MOU with MenzShed Halswell. Activity sessions delivered at the request of residents as part of their individual lifestyle plans. Rooms in the South Island for the provision of specialist residential care. St John of God Clouston Park our 12 room Community Home in Upper Hutt. Seismic strengthening and refurbishment project at St John of God Karori. Rooms in the North Island for the provision of specialist residential care. Amongst the many people I met this past year through my role as CEO, two I recall in particular. One was a young man who shared with me his story of changing from a life of anti-social behaviour and offending to being a productive, positive and law-abiding citizen. He had done the hard work of honestly and critically examining his thoughts, feelings and behaviour. He challenged himself about his thinking and began to connect with people in his community who held prosocial values. He learnt about his risk factors and put plans in place to manage them. He started to care about the impact of his behaviour on others. His story was inspiring. It left me with great confidence in the quality of our reintegration services at St John of God Waipuna. The other person was a resident at Health and Ability Services, a woman living with a terminal diagnosis. She had been previously placed in an aged-care facility as a result of not being able to manage at home. She was not an elderly person and was unhappy in aged-care. When a room became available with us she took the opportunity and found the environment to her liking. She responded to the increased social interaction with other residents and the care she received from our dedicated caregivers. She began to engage in rehabilitation and therapy and was immensely proud of being able to walk again, albeit for a limited distance. She said she had unexpected moments of happiness in her new home and this had been rare for her since her diagnosis. In talking with her, this struck me as our Mission in action. Despite her difficult circumstances she had a reason to hope, she had a greater sense of dignity and a richer life. What a privilege it is for us to be able to support people like her in this way. Caregivers can take pride in the achievements of our organisation in the 2018 financial year. Our residential care and rehabilitation services are in high demand and our Community, Youth and Child Services division continues to expand its network of support within the Canterbury region. I am certain some of our success stems from a strong organisational commitment to continuous improvement and I am looking forward to developments in the 2019 financial year and beyond. Maximise the use of information and technology to improve the quality of life and independence of our residents and clients. Your contribution to our healing Mission is greatly valued, and sustains an ethos of care and support that has spanned across centuries. St John of God was known for his call to ‘go and do likewise’, words we should hold front of mind as we deliver on our 2019 plans. I would like to thank you all for your contribution to our work. Caregivers, supporters, funders and industry colleagues alike. You all maintain a vital role in supporting people in need. The past year has seen us increase our capacity to support more vulnerable people in New Zealand, as well as continue to raise the standard of care we offer. In June 2018 our Northern Health and Ability Services Division expanded its service offering substantially with the opening of a new service in Upper Hutt. Overall, our disability services continue to successfully adapt to the concurrent trends of increasing client acuity as well as demand for high quality, intelligent rehabilitation offerings. Our long-held view in the dignity of human life and commitment to raising each client’s physical, emotional and spiritual wellbeing puts our organisation in a strong position to continue to expand our service offering to touch more communities in New Zealand. With respect to the social services delivered at St John of God Waipuna we continue to gain recognition for our adaptability, innovation and creativity, evidenced in the increasing nature and scope of programmes with key partners including the Department of Corrections, Oranga Tamariki - Ministry for Children, Ministry of Health, Ministry of Education and Canterbury District Health Board. A strong commitment to true partnership and collaborative work underpins this high calibre of work at Waipuna, and I acknowledge that commitment at all levels from our presence in service coordination initiatives such as Canterbury Children's Teams, Mana Ake, Right Service, Right Time through to caregivers who continue to advocate and support clients outside of the scope of their role. As I conclude nine years of service on the Board of St John of God Hauora Trust and six years’ service as Chair, I have been encouraged by the increasing suite of complex and high calibre of services that we offer every day. My own education instilled in me a great respect for the foundational principles of Catholic Social Teaching, and how we all share responsibility for caring for those most vulnerable in society. I wish to record my deep gratitude to my fellow board members for their support of me and their excellent stewardship of the organisation. I would also like to thank Steve Berry, his leadership team and all our caregivers for their hospitality and compassion. I would like to affirm the work of all our caregivers and volunteers as well as friends and supporters who bring a great diversity of experience and specialisation to continue the healing mission of Jesus Christ. At St John of God Hauora Trust hospitality has a lot to do with helping people feel at home in their own skin; creating relationships and environments where people come to appreciate their own value and grow the sense of possibility in their lives. Our ethos of hospitality is underpinned by an unequivocal belief in the innate dignity of each person. Our practice of hospitality is shaped by human goodness – what some might call ordinary kindness. You can see hospitality in action across our services every day: well-maintained grounds and buildings; a smile at reception; help for an anxious child settling into preschool; rapport building with a young person whose trust has already taken a battering; plenty of encouragement for the person discovering how to live with a disability; intensive hands-on rehabilitation for the person who just wants to get on with their life. It is important to us that people feel at home. We believe change, development and healing are possible when people feel safe, respected and supported, and feedback from people we work with affirms that for us. Families, visitors, clients, colleagues and other professionals comment on the quality of the welcome as well as the quality of our practice. In many workshops, meetings, orientation sessions and casual conversations with colleagues over the last year I have been impressed by the motivation of people who volunteer and work at SJGHT. They want to contribute to a more just and compassionate world, and SJGHT provides fertile ground for them to express their values and use their skills and talents in the service of the community. They bring their energy and problem solving skills to this work of mission. For some this means unconditional attention to the person in front of them or the task at hand. For others it fuels a constant quest for improvement and development either personally or organisationally. This manifests itself in professional development, or a constant questioning of and reviewing of policies, systems and processes, or in a tireless quest for sufficient resources to ensure clients are getting the best service possible. Growing the mission includes extending our services in response to increasing demand and unmet needs. It also includes growing our understanding of mission through reflection and discernment and our relationships with stakeholders, responding to feedback from clients, caregivers and the community. The goal of Mission is always human flourishing. When people feel more at home in their own skins, in their families and communities, then change and growth are possible. I would encourage you to explore the rest of this report that will give you some insight into the work of St John of God and some of the people who breathe life into our mission, and to the gift of hospitality that makes it possible to hope. St John of God Hauora Trust provides supportive and person-centred care to people living with a disability as well as vulnerable children, young people and families in New Zealand. Our care is based on a privileged partnership supporting people to achieve goals and experience joy, excitement and fulfilment. It’s a matter of considerable pride that we have continued to provide excellence in care in our growing Northern Region. 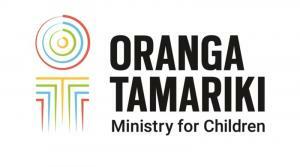 Manaakitanga, Aroha, Whakaute, Tika and Hiranga are the values that are at the heart of all we do. Our care is based on a privileged partnership. Not only do we work alongside people to help them achieve goals but we create opportunities that provide joy, excitement and deeper meaning to what may be possible. We inspire hope by basing our care on an individual’s potential rather than their diagnosis. This past year we operated at 100% occupancy and manage an ever-increasing waiting list for both long-term care and rehabilitation. Our reputation for providing quality care has positioned us as a leading provider within the disability sector. We receive regular feedback about the ‘feel’ of the service and the positive culture. The culture of the service is supported by the people within it and our caregivers have embraced their role as enablers. They have helped people at any stage of their journey. They have worked with residents, families and friends to create teams that are dynamic and responsive. They have dressed up, dressed down, decorated rooms and undecorated them, laughed at themselves and at others, danced, slid down a waterslide with someone in their arms, played games, driven a van, electric scooter, quadra-cycle, or dune buggy. But most of all our people have driven forward a model of care. Participation comes in many different forms. The plan for a waterslide on the back lawn on a hot day came about because caregivers were trying to meet a need and were able to problem solve and create solutions. It involved all levels of the service, using resources already available but in very different ways. Grounds, Maintenance, Food Services, Unit Caregivers, Rehabilitation and Therapy, Activities, the Menzshed and even a large group of physiotherapy students all worked together to help make the day a success. This day created lifelong memories for some and for others it gave hope. It demonstrated caregiver problem solving and creating solutions as a team and facilitating participation for our residents and their families. This was an example of our St John of God community working together to realise our Mission. The continued growth in the number of clients who have been accessing our service for rehabilitation has required us to redesign this part of the service. The Granada Rehabilitation Centre will be expanded next year with more beds being allocated for rehabilitation and a stronger focus on research and development. The number of referrals for long-term care has also increased so we will be planning to increase bed numbers at our Halswell site as we continue to provide a vibrant and inclusive environment for clients. The Menzshed continues to support our St John of God community in a variety of ways including assisting with grounds and maintenance, projects for caregivers and residents, the construction of a tunnel house which now supplies the service with fresh produce and also including some of our clients within their day programme. Throughout the year the service has continued down the quality improvement path completing a roster review which resulted in the introduction of a “flexi-shift” to help cope with unexpected work load, provide flexibility and to assist in providing more opportunity for lifestyle. This also resulted in a reduction in agency staff use which impacts positively on the quality of care. A reconfiguration of House 36 at St John of God Addington has provided a new kitchen and lounge and a studio unit which was occupied within two days of completion. We acknowledge and thank St John of God Health Care in supporting this refurbishment. We are very grateful for the privilege of being involved in our residents’ lives, often on a very personal level. We have all been given a life and it is our obligation to help people in our care live it. This is the responsibility that our model of care, called My Life, places on all of us as caregivers. It’s a matter of considerable pride that we have continued to commit ourselves to providing excellence in care for people living with a disability. Our Karori centre continues to be a true home for the 35 residents who choose to live with us. We encourage all our residents to thrive and make the most of every opportunity life gives them. 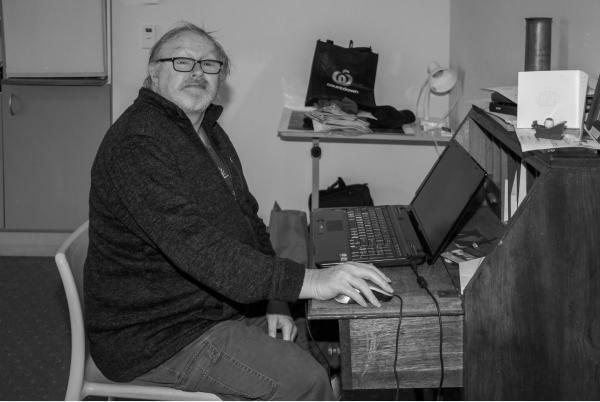 For one of our residents, Ross, this meant signing up at a local computer training course and stepping into the digital era – a source of much pride for him as he kept us all updated with his latest achievements on the PC. It’s not just the residents stretching themselves – this financial year we also identified a site for our new community home in Clouston Park, Upper Hutt. Our caregivers enthusiastically embraced this opportunity, as we’ve worked our way through the logistics of establishing a much-needed new service. For resident David Pearman, this meant the opportunity to challenge himself to live in a more independent environment, a goal he had held for some time and which he now has the right care coordination and setting to be able to realise. We strengthened our Karori team with the introduction of Shelah Kabigting in the new role of Nurse Unit Manager. Shelah provides direct hands-on support and mentoring for our Nursing and Support Worker team and is a key liaison with families and other providers. We also welcomed Jenni Marshall into the key position of Homes Manager for Clouston Park. Jenni brings a passion and enthusiasm for the work we are doing at Clouston Park and in the short time she has been in the role has attracted and enthused staff, families and other stakeholders. We provided more than 12000 nights of care for residents in the past year, at our Karori home. Some residents have been with us for 14 years (and counting), others are only temporary visitors – but all are an important part of the St John of God family. December was a sad time for many of our residents and caregivers after the unexpected passing of one of our long-term residents. Her death has caused us to reflect and to look at how we can better improve our care. As the Manager of our Northern service, it was heartening to see the resolve across the organisation in how we can learn and commit to quality care for people living with complex disability. We continue to hold her family in our thoughts. I would like to thank all our community partners and allies in the community, through the Karori School Linkage programme, Good Companions lunch, Boccia, local churches, Literacy Aotearoa, computer training establishments and Karori Arts and Crafts. We are now establishing ourselves in the Upper Hutt community, building connections with the local marae, parish and community groups. We want to keep making the most of the opportunities ahead of us. For Karori, we look forward to the commencement of the Seismic Strengthening and Refurbishment programme. This will enable us to better use the spaces we have, providing a dedicated rehabilitation and therapy space, open spaces and better flow for the kitchen and dining service. The other major focus of the 2018-19 year will be to make the most of the opportunities Clouston Park affords us. Just as we encourage our residents to grab every opportunity with both hands, as an organisation providing excellence in care, we too need to seek every opportunity to grow in our service and mission. Manaakitanga, Aroha, Whakaute, Tika and Hiranga are the values that are at the heart of all we do; we journey alongside, we support, we listen and we unconditionally do what we can to support young people and their families. Much of what we do at St John of God Waipuna is contracted through our government partners and an example of this is the newly formed Programmes and Reintegration team. We have co-delivered the Mauri Toa Rangatahi (MTR) programme in community and prison settings with the Department of Corrections for six years, over the past year we added the community-based Kowhiritanga programme for women and the Burglary Reintegration Support Service co-delivered both in prison and the community. It’s pretty good, I am in a good stable place a stable environment. I feel positive, like I am heading in the right direction. I have stayed out of trouble for a while and I feel like I can keep it that way. PK’s story is one that demonstrates the true value of the relationships built between our practitioners and the people we support. PK is a young man who developed strong connections with our facilitators through attending the MTR programme upon release from the Youth Unit at Christchurch Men’s Prison in early 2016. It was clear to all who supported PK that he engaged with the kawa of the programme and his confidence grew week by week. 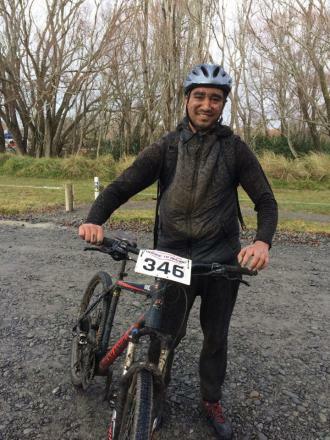 Since early 2016, PK has completed two MTR programmes at St John of God Waipuna, been supported to attend alcohol and other drug counselling, access housing, have driving lessons to gain his license, access work experience and education programmes. PK, his partner and his baby son have also accessed support from our Young Parents Development Service. It is the commitment of our caregivers that provides young people like PK the opportunity to gain maximum value from their time at St John of God Waipuna. It is with passion and commitment that our caregivers journey alongside children, young people and their families. Regardless of contract or service provision specifications, we recognize that after completing Waipuna programmes there is still the opportunity for young people to realise more of their potential. In facilitating that process, at St John of God Waipuna, we are creative, we rely on our partnerships and philanthropic grants and donations to be able to achieve and create what is required. An example of this is a weekly support club for people like PK that have completed programmes but still require ongoing support. The club is not funded, it purely exists through the partnership of Te Rangatahi Tumanako Trust and St John of God Waipuna and the collective contributions of eight other organisations and fifteen individuals. We are committed to, and view the club as a vital component to maintain the gains made in programmes and increase the outcomes for the young people as they transition to healthy contributing members of society. We know the club is valued as it is well attended each week by eighteen young man who remain committed, and as one young man said, “on the same path”. It is valued because “they are on the same path as me so we support each other and we are all working together towards the same goal. They have been there and done that so we all understand each other”. PK’s journey is just one of many that we remain privileged to be a part of; our building is continually bursting with young parents and their children, young people, families and community members. We would like to thank and acknowledge our key funding partners of our Health and Ability Services division. 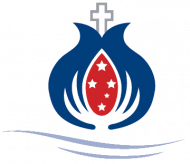 We would like to acknowledge the contribution of the funders of our service at St John of God Waipuna. In collaboration with our grant and philanthropic funding, your support is vital to our capacity to support young people to achieve growth and development. The following selection of videos are brief excerpts from our year in care and are illustrative of the creative and innovative approach that we bring to supporting people living with a disability. Aviva, Archbishop of Wellington Cardinal John A Dew DD and The Archdiocese of Wellington, Br Kevin Lawson O.H., Br Steven Coakley O.H., The Diocese of Christchurch, Burwood Hospital Spinal Unit and Brain Injury Rehabilitation Service, Plunket NZ, Capital Mobility, Capital Support, the Department of Corrections, Enable New Zealand, the Halswell MenzShed, the Hospitaller Order of the Brothers of St John of God, Karori Anglican Church, Karori West Normal School, LifeLinks, Life Unlimited, The Nathaniel Centre, NZ Nurses Organisation, National Union of Public Employees, OCP, Odyssey House, Sisters of Mercy, Taylor Shaw Barristers and Solicitors, the University of Canterbury, The University of Otago, VFL Finance, Whitireia NZ, the Yunus Social Business Centre. Seismic strengthening, refurbishment and reconfiguration programme at the 35-room St John of God Karori facility. Implementation and consolidation of the new service coordinating mental health professionals at primary schools in Canterbury. Electronic Medication Management system in Health and Ability Services. Residential Care Pathway programme at Health and Ability Services. Full capacity at St John of God Clouston Park and make it a provider of choice in the Hutt Valley. New Zealand’s first accessible tiny home in collaboration with Menzshed Halswell, supporting residents into a community setting. Site development proposals for unused land at our St John of God Halswell site. New Zealand Spirit of St John of God Award. M.Soc.Sc (Hons), Dip.Psych. (Clin), M.N.Z.Ps.S., M.I.N.S. Steve was appointed Chief Executive Officer of the Trust in August 2012. Steve is a Registered Psychologist, with a Master’s Degree and Postgraduate Diploma in Psychology from the University of Waikato. Steve is a member of the NZ Psychological Society and the International Neuropsychological Society. Steve has held various senior management positions in the public and private sectors for 20 years. Virginia Spoors is the Regional Manager for Health and Ability Services Southern. Virginia first joined the organisation in 2008, initially as Workforce Development and Quality Manager and subsequently Clinical Support Services Manager. She is a Registered Comprehensive Nurse with over 20 years of experience in nursing, health education and in advisory roles. B.Sc., RNMH, PgDip Bus. Mgmt. Sarah Hillier is the Regional Manager of Community Youth and Child Services. She has more than twenty years of health sector experience in New Zealand and the United Kingdom. Prior to her current role, Sarah has held a number of senior clinical and leadership positions for New Zealand health and social service providers including Te Roopu Taurima O Manukau Trust, NZCare Group, RIDCA and Lifelinks. Stewart Clark is the Regional Manager for Health and Ability Services Northern. Prior to this appointment Stewart managed a large aged-care facility and prior to that role he managed laboratory services, a role he came to after a four-year stint as a Medical Laboratory Scientist. Stewart also has two years experience as a Community Support Worker and he has volunteered extensively. He has a Bachelor Degree (Medical Laboratory Sciences with Distinction) and a Certificate in Health Leadership. Joanne has worked for St John of God for 20 years and been the National Manager Mission since 2011. She has a background in teaching, adult education, community development and social work. Mal is the National Manager Corporate Services providing leadership of the organisation’s strategic and operational activities. He holds a Master’s degree in Business Administration and has extensive project management experience in engineering, manufacturing and infrastructure development and senior leadership experience in the tertiary education, health and social services sectors. With extensive experience of working closely with the Senior Executive Teams and Operational Managers, I provide strategic and operational leadership to the finance and procurement functions that service and support the services to ensure achievement of their strategic and operational objectives. This involves financial and commercial reporting to the Executive and the Board, driving the enhancement of critical business processes and systems across the organisation, ensuring compliance with all financial regulatory requirements and providing advice and support to the Executive Team, CEO and the Board on matters of financial, commercial and strategic importance. I am rewarded with the opportunity to shape the financial and procurement roles within the organisation and contribute to its leadership, direction, innovation and further success. Seaneen McKenzie developed her Human Resources management skills in an extended period of employment with the Department of Corrections. Seaneen has a strong commitment to the technical aspects of human resources and enjoys the people element of her role in a values-focused organisation. George is the National Manager Fundraising and Marketing with a wealth of public and private health sector communication and marketing experience. Prior to his current role, George has worked in health promotion and corporate communication for NSW Health as well as a consultant for health public relations agencies. Bevan joined the Board in 2009 and has been chairman since 2012. A chartered accountant by background, he is also a chartered insurance practitioner and a chartered member of the Institute of Directors. He has a number of governance appointments in the private, public and not-for-profit areas. Kathryn is Deputy Chair of the Board having joined the Board in 2010. She is a Barrister, practising in employment law and civil disputes, and is one of New Zealand’s leading experts in privacy law. She has authored a number of publications and is regularly invited to address conferences on privacy matters. Marion joined the Board in 2010 and served as Chairperson of the Finance Committee. She is a Fellow of the New Zealand Institute of Chartered Accountants, a member of the Institute of Directors in New Zealand, a director on boards in the public, private and not-for-profit sectors and a former international civil servant. Tim Burns joined the board in 2016. He brings extensive governance and senior management experience in the health services, social services and the wider community voluntary sector. More recently he has served a term as a member of the Parole Board and is currently a lay member of the Health Practitioners Disciplinary Tribunal. Kevin joined the Board in 2017 and is the Executive Director Community Services for St John of God Health Care. He has management experience within the health care industry spanning more than 25 years, and has recently held positions including Group Director Corporate Services St John of God Health Care and Chief Executive Officer St John of God Pathology. Kevin has been recognised for his role in establishing nursing, pathology and rural health programs in Timor-Leste and is also a Board member of Mosaic Community Care. Peter Jensen joined the Board of Trustees in April 2018. Peter is CEO of the New Zealand Metropolitan Trotting Club based in Christchurch and has previously held the position of CEO for Southern Response, Spanbuild Holdings and Group General Manager of Skellerup Industries. Peter is a Trustee of Odyssey House in Christchurch supporting people living with drug and alcohol addiction.